***ONE OWNER***, ***ACCIDENT FREE***, ***BACKUP CAMERA***, ***POWER LOCKS***, ***POWER WINDOWS***, ***172 POINT INSPECTION*** Ingot Silver Metallic 2018 Ford F-150 XLT RWD 10-Speed Automatic 5.0L V8 Rusty Eck Ford Inc is offering this 2018 Ford F-150 XLT, in Ingot Silver Metallic and Medium Earth Gray Cloth, only 27733 miles, ABS brakes, Alloy wheels, Compass, Electronic Stability Control, Illuminated entry, Low tire pressure warning, Remote keyless entry, Traction control. 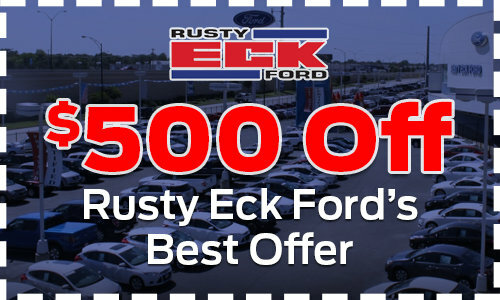 Rusty Eck Ford. 63 years of helping the community and providing quality to customers just like you.